MANILA, Philippines – As his only son Benigno III stood on another tarmac, in Bicol, grimly awaiting the remains of friend and trusted aide Jesse Robredo on Tuesday, the late senator Ninoy Aquino’s friends, relatives and companions in the anti-dictatorship movement gathered at the international airport bearing his name, to recall his heroism as he was killed on the tarmac on August 21, 1983. Leading the speakers was Ninoy Aquino’s nephew Bam Aquino, who exhorted the crowd at the NAIA to emulate the martyred senator’s example. He said the nation’s sense of loss in August 1983 found echoes in its mourning over the sudden death of Robredo, whose body was fished out of the Masbate Sea early Tuesday, four days after his plane crashed enroute to Naga City. President Benigno Aquino III was unable to grace the annual commemoration of his father’s heroism, as he personally supervised the transfer of Robredo’s remains from Masbate to his hometown of Naga City. On the 29th death anniversary of Ninoy Aquino, other messages resounded from various quarters, besides Bam Aquino’s exhortation at the airport. The Kabataan party-list called on President Aquino III to “honor” his father by granting “general, unconditional omnibus amnesty” to political prisoners in the country. And in a separate statement, former three-term Manila mayor Lito Atienza, one of the few opposition MPs in the Batasang Pambansa, said August 21 is significant to the nation in two ways: for Plaza Miranda bombing which gave then President Marcos the context to crack down on critics and eventually declare martial law; and the Ninoy assassination which provided the final spark for ending that dictatorship. He said that while the government’s move to raise the bounty on high-profile fugitives from justice like retired general Jovito Palparan is laudable, Filipinos should never forget that August 21 stands for a commitment to uphold the rule of law and due process, at all times. He found it ironic that the “real brains” behind the two dastardly crimes– the Plaza bombing and the airport murder, were never found. Atienza, then seeking a post as Liberal Party councilor for Manila, was among those onstage when two grenades were hurled at the LP stage at Plaza Miranda on August 21, 1971. “The president must remember that his very own father was a political prisoner, a victim of human rights violation during the Marcos dictatorship. It is appalling that Ninoy’s own son is not only ignoring the worsening human rights situation in the country, but is even denying the very existence of political prisoners in the Philippines,” he added. Palatino was reacting to a statement by Palace Spokesperson Edwin Lacierda who earlier denied the existence of political prisoners. Political prisoners are defined as citizens incarcerated for their political beliefs, who are usually arrested due to fabricated cases. 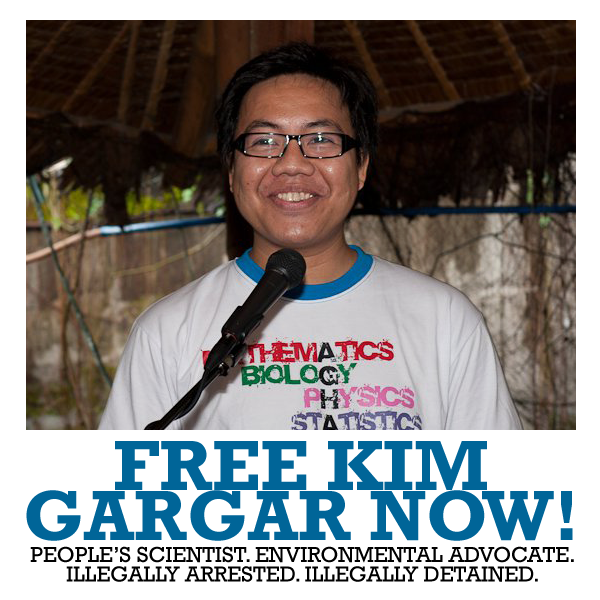 Such cases include the arbitrary arrest of cultural activist Ericson Acosta and the recent case of Agnes Tadeo-Mesina, a former member of Migrante Australia who returned to the Philippines to work as a community worker, Palatino said. “Every year, Aquino promises to resolve human rights violations, to no avail. His promises ring hollow, as his very regime continues human rights abuses by promoting the counter-insurgency program Oplan Bayanihan,” he said. Quoting Karapatan, Palatino said there are now over a hundred cases of extrajudicial killings and 11 cases of enforced disappearances recorded under Aquino’s term as president. Majority of victims are farmers, indigenous peoples, and activists, including Italian priest Fr. Fausto “Pops” Tentorio and Dutch missionary Wilhelmus Lutz Geertman. Bam: Bad things happen to good people, but . . . In Manila, Bam Aquino said: “If we are going to ask ourselves, why must bad things happen to good people . . . but then if you look on Tito Ninoy’s life you will see that because of his death many of us found our heart, many of us found our bravery and many of us found bigger things to fight for than ourselves. “Maraming tumayo nung nahulog si Ninoy Aquino maraming naging bayani pagkatapos niyang ipakita ang pagkabayani niya and maybe hopefully with Secretary Robredo passing away, maybe again many of us will stand up and say, ‘well he lived a good life; he was a good person, he did his best for what is good for our country. Maybe it’s time we do our share for doing good things for the country,” Bam Aquino added. The Manila International Airport Authority hosted the celebration of Ninoy Aquino day in commemoration of his 29th death anniversary at the NAIA Terminal 3. A wreath and flower offering at the foot of Ninoy Aquino’s bust sculpture and the awarding of the First Ninoy Aquino Medal for freedom fighters was held by program organizers. The celebration was attended by program participants and visitors headed by Yellow Ribbon Movement, Chino Roces Foundation, Spirit of EDSA, LABAN, Fil-Canadians for Ninoy and Cory, Cory Veterans, MMDA, Mindanao People’s Causus, Balay Rehabilitation Center, UNESCO Dream Center, Seoul Institute of the Arts and MIAA authorities headed by Senior Assistant General Manager Vicente Guerzon. MIAA General Manager Jose Angel Honrado missed the celebration, as he joined President Aquino on board an air force C-130 aircraft to Masbate to personally witness the retrieval of the body of Robredo. Bam Aquino said that at their prime, Ninoy and Jesse served the Filipino people, who were abruptly deprived of such services. He said many people found their voice and courage as Ninoy fell on the tarmac, and he hoped that with Robredo’s passing, many Filipinos will be inspired to do their best for their country. We, Bishops of the United Church of Christ in the Philippines, express our appreciation and support for the on-going fasting/hunger strike by political prisoners in the Philippines. In solidarity with the Filipino people who hunger and thirst for justice and righteousness in our nation, we urge President Benigno (Noynoy) Aquino III to consider the plight of political detainees under his administration and their call for a general, unconditional and omnibus amnesty. We find it deplorable that presidential spokesperson Edwin Lacierda has even been published in the Philippine Daily Inquirer (8 October 2011) saying, “we have no political prisoners.” A mere glance at the list of 385 political prisoners in the Philippines as provided by the Samahan ng Ex-Detainees Laban sa Detensyon at Aresto (SELDA) makes it clear that scores of people assert themselves as political prisoners in the Philippines. In fact, 107 of these were newly detained during the Aquino Administration. In the face of such callous dismissal by the Aquino Administration, we are compelled to amplify the on-going hunger strike of political prisoners. The Universal Declaration of Human Rights-Article 7 declares, “All are equal before the law and are entitled without any discrimination to equal protection of the law;” yet, these political prisoners uphold that they have been illegally arrested, detained, and slapped with trumped-up criminal charges. Some have executed affidavits of torture, inhumane treatment, and of being forced to sign confessions under duress. We challenge President Aquino to consider the release of political prisoners in the Philippines, especially those with conspicuously trumped-up charges, those with health ailments requiring medical care, and the elderly. All of these may be accomplished through a general, unconditional and omnibus amnesty. 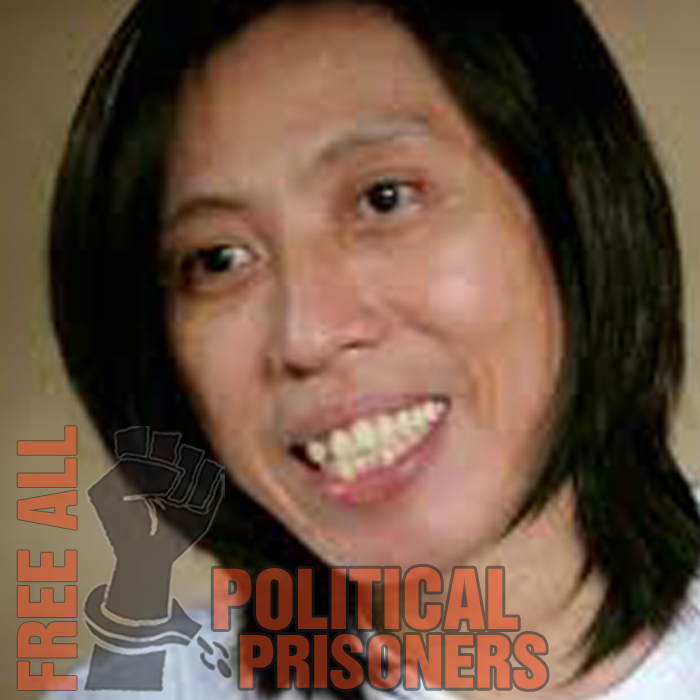 Then, it could truly be said that there are no political prisoners in the Philippines. Likewise, we appeal for President Aquino to consider the release of 14 National Democratic Front Consultants, covered by JASIG. Their release was also agreed upon by both the GPH and NDFP peace panels during the resumption of talks in February 2011. As Church advocates committed to the peace process, we view such action as a significant step in bringing forward and revitalizing the GPH-NDFP peace talks. Sa ngalan ng lahat ng bilanggong pulitikal sa Medium Security Compound, kinukundina namin ang pahayag ni Edwin Lacierda, tagapagsalita ng Malacañang, sa inihayag niyang walang mga bilanggong pulitikal o political prisoners sa ating bansa. Gayong sa tala ng Karapatan ay umaabot ang na ang bilang sa 363 na mga bilanggong pulitkal sa buong bansa. Maaari pang lumobo ang bilang ng mga bilanggong pulitikal sa karahasang dala ng operasyong militar dahil sa programang kontra insurhensya ng rehimeng US-Aquino na Oplan Bayanihan. Higit niya itong pinalalakas para supilin at sikilin ang mga karapatan ng mamamayan. Pinatutunayan ito ng aming karanasan dahil kaming mga bilanggong pulitikal ang mga buhay na halimbawa sa panunupil ng reaksyunaryong estado. Inaresto, ikinulong at sinampahan ng kasong kriminal para ituring na simpleng kriminal at maitago ang pulitikal na katangian ng mga isinampang kaso. Malinaw itong paglabag sa isinasaad ng Amado Hernandez Doctrine. Inilalatag ng Hernandez Doctrine ang malayong pagkakaiba ng pulitikal at simpleng kriminal na opensa. Ngayong SONA 2012 ng Hulyo 23, ang rehimeng Aquino ay ipinangangalandakan sa mamamayan at sa buong mundo ang kanyang husay at galing sa pamumuno sa bansa sa larangan ng pulitika, ekonomya, militar, pambansang hukuman at mga tulong na nanggagaling sa mga amo niyang dayuhansubalit ito’y malinaw na panlilinlang sa mga mamamayan. Sa dahilang lalong nalugmok sa matinding kahirapan ang mamamayang Pilipino, sa pamamagitan ng butas-butas na programa saan mang ahensya sa ilalim ng kanyang pamumuno at sa ngayo’y tumungo ito sa higit pang pagkabangkarote sa ekonomya ng ating bansa. Sa SONAng ito ng rehimeng Aquino, ito’y paglalagom sa kanyang mga nagawa at para pagkaisahing muli ang mga reaksyunaryo na susugan ng mga programang muli nilang itatakda, ang SUMA ay bilyon-bilyong kita na nagmula sa pawis at dugo ng mamamayan. Sa ngayon ay marami pa ring bilanggong pulitikal na matagal nang nakakulong ngunit bingi ang reaksyunaryong estado na kami ay palayain. Hindi kami titigil at magpapatuloy ang aming kampanya at panawagan sa pagpapalaya sa lahat ng bilanggong pulitikal sa pamamagitan ng General, Unconditional at Omnibus Amnesty. Mananatiling determinadong maninindigan kami sa loob ng bilangguan, taas kamao kaming makikibaka para sa tunay na demokrasya at kasarinlan ng ating bansa.